Tooth colored fillings are the natural-looking solution for repairing decayed or damaged teeth. Also known as white fillings or composite fillings, tooth-colored fillings are strong and effective. They repair dental problems while keeping smiles white and healthy. If you need a tooth-colored filling, rely on the expertise of Dr. Chi Fu at Chester Hill Dentistry. When treating a cavity, your Chester Hill dentist removes the decayed portion of your tooth and fills it with another substance – this is the filling procedure. There are multiple options for the material to be used in the filling, and composite is one of them. Composite fillings are especially durable when it comes to repairing small- or medium-sized cavities. The procedure typically involves less removal of tooth enamel than is necessary during other filling procedures. Of course, tooth-colored fillings are also well-suited for treating highly visible teeth or front teeth because of their natural appearance. Decrease the gap between teeth. Choosing not to tend to a problem tooth can leave neighboring teeth in jeopardy. And, the truth is that a tooth in need of repair will not get better, it will only get worse. Composite fillings are incredibly durable and long-lasting, which protects the treated tooth from further decay or disintegration. Tooth-colored fillings ensure the stability of the tooth in question, and deliver a natural look. After numbing the area where the filling is to be placed, your Rye dentist will remove any decayed portions. A substance is then applied to help open the pores of your teeth for a stronger bond. The area is hardened and cured with a special light and, once this step is complete, the filling is applied in thin layers to slowly form the complete filling. When the composite has hardened, the filling will be smoothed and polished until it is comfortable and fits your bite. Filling choice is typically a matter of patient preference and a matter of what types of fillings your dentist offers. Many patients consider tooth-colored fillings the safer restoration because they are mercury-free. Silver fillings are also considered unsightly in general and, because they are so noticeable, announce to anyone who sees your smile that you needed to have a cavity tended to or a damaged tooth repaired. 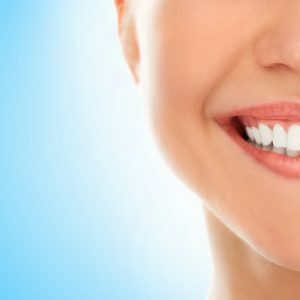 The aesthetic benefits of tooth-colored fillings not only benefit your teeth, making them look completely flawless, natural, and hiding any hints of a cavity or problem, they also benefit your gums. Silver fillings are sometimes responsible, over time, for staining teeth and gums, making them look dark or grey. The preservation of tooth structure is also an important element of tooth-colored fillings. For some people, a silver filling can expand and cause tooth fractures. Composite fillings are more stable and will not compromise your tooth structurally. Suspect you have a cavity? Need a minor tooth repair? Contact our Chester Hill Dentistry office and make an appointment with Dr. Fu to discuss tooth-colored fillings or other restorative dentistry options. We serve the residents of Rye, Westchester, Port Chester, Rye Brook, and surrounding areas, including Greenwich, CT.